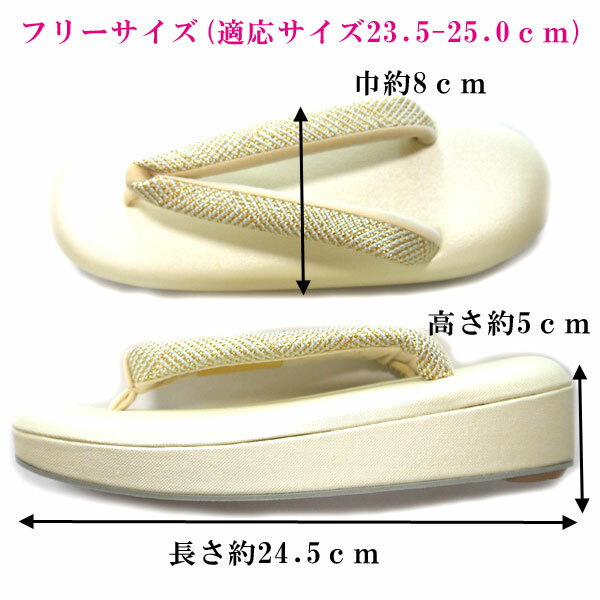 The low-elasticity sandals which are hard to be worn-out. 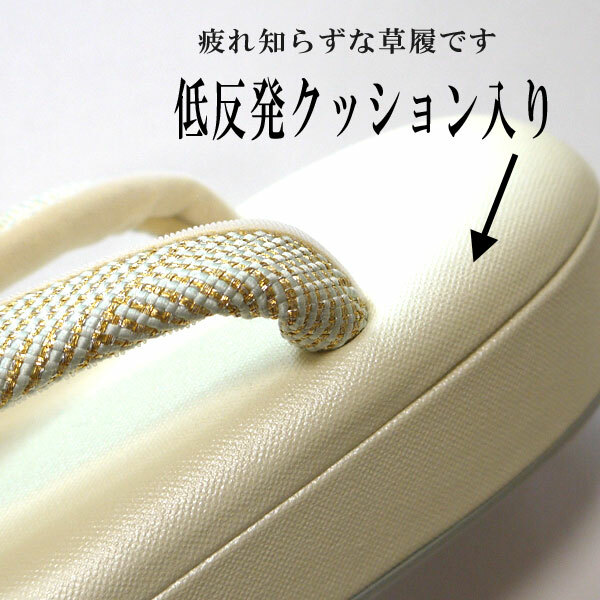 The sandal thong uses a braid of Gojima. 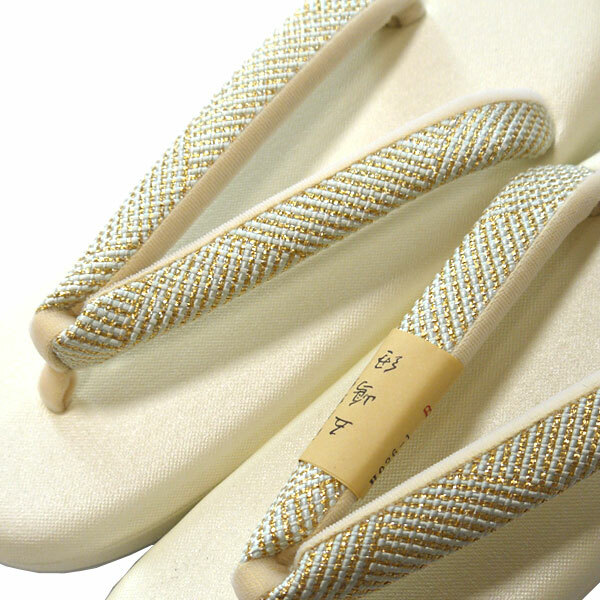 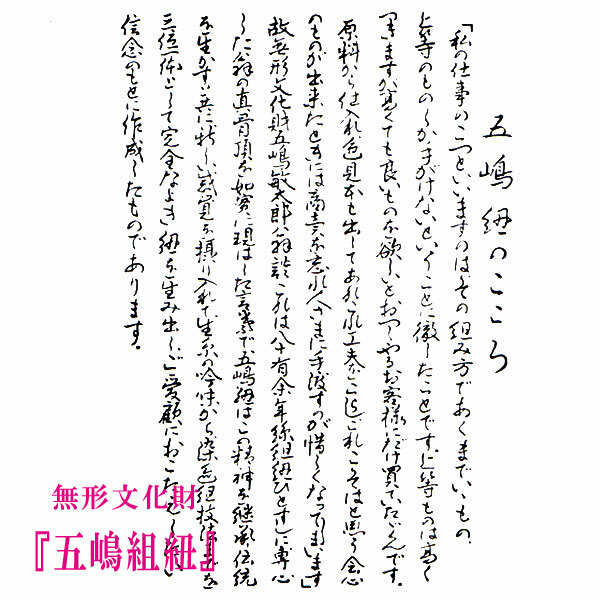 The sandal thong uses the Gojima string of form cultural assets. 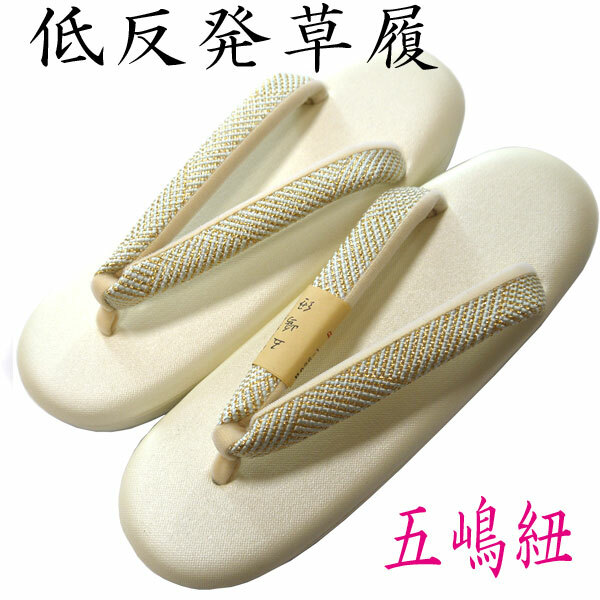 Is gentle; wear it, and do not have a pain for a feeling. 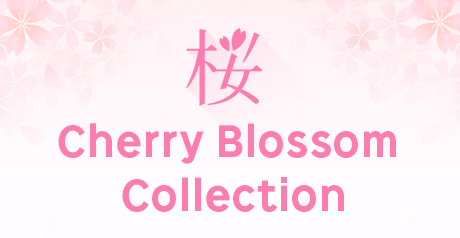 From the four circle including a visiting dress, dyed cloth without a pattern, the semi-gala pattern to casual clothes.